Kindermusik with Ocean Strings! " ​YOU and your child will sparkle with wondrous joy as you string musical memories from our engaging world to yours... Sing with Us! 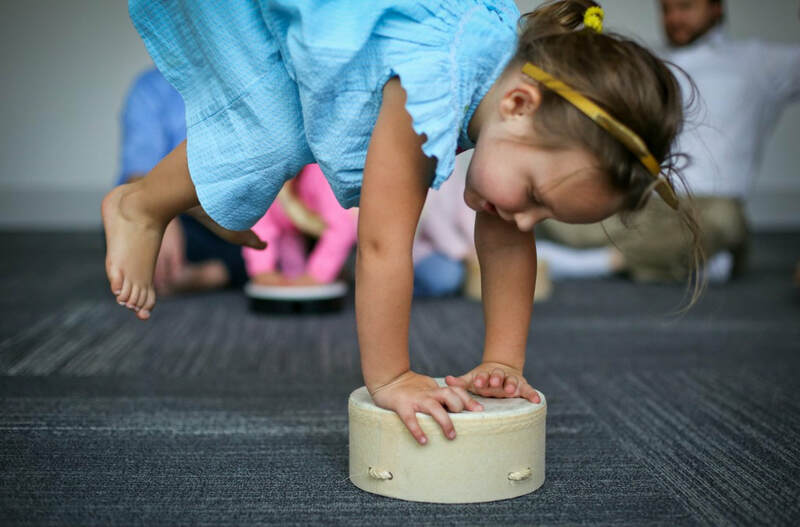 ​​For three generations, Kindermusik has helped millions of children around the world build a strong foundation for a lifetime of learning! 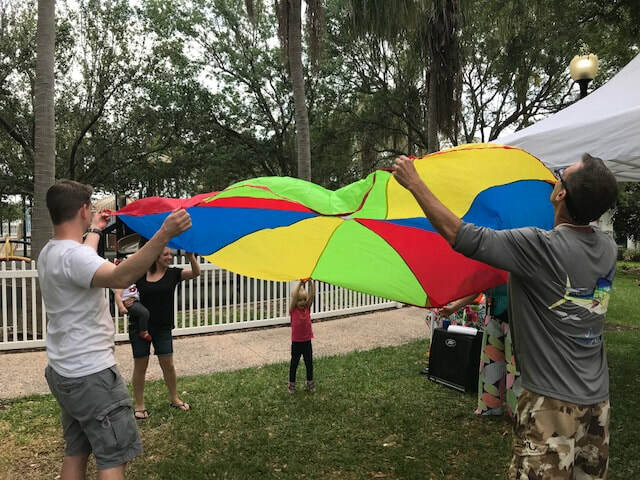 Using research-based musical curricula that includes creative movement, focused listening & imaginative instrument and vocal activities we engage your child's mind and senses during the most exciting and critical years of brain development! 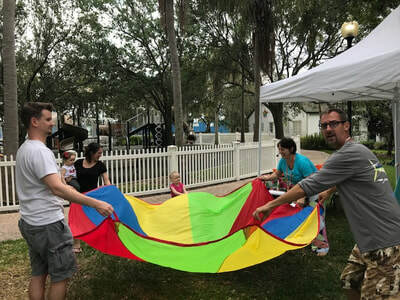 ​Build friendships with other families and children.....and at the same time we have ​SO.. MUCH.. FUN! 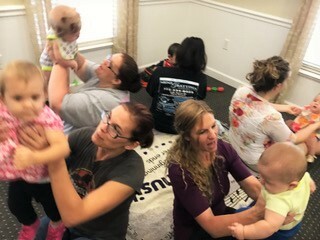 ​months have been soulful, educational & inspiring"
ALL learning domains: physical, language/literacy, social/emotional, cognitive, creativity as well as the musical and mathmatical domains! 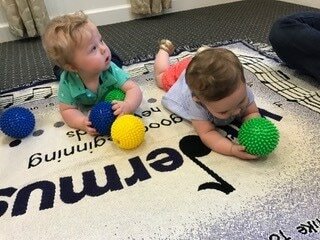 Brain & Body Development Education for Parents- We believe in empowering the caregiver to be fully knowledgeable about how their child learns and develops best through music and movement- to be their child's first music teacher! 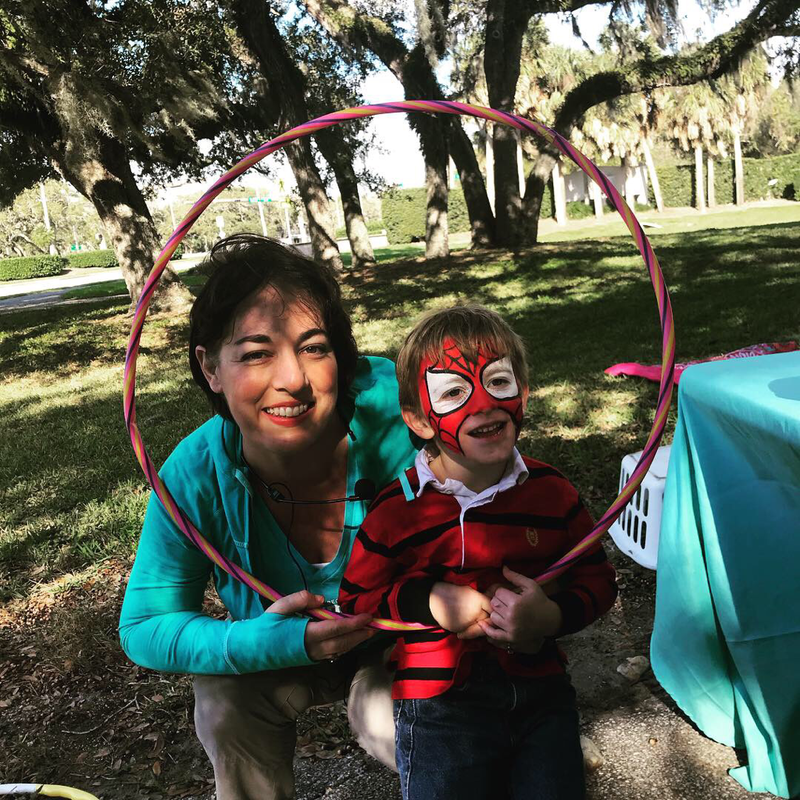 We also love to share practical suggestions and ideas during class time that you will find invaluable to use for your transition times with your children every day! 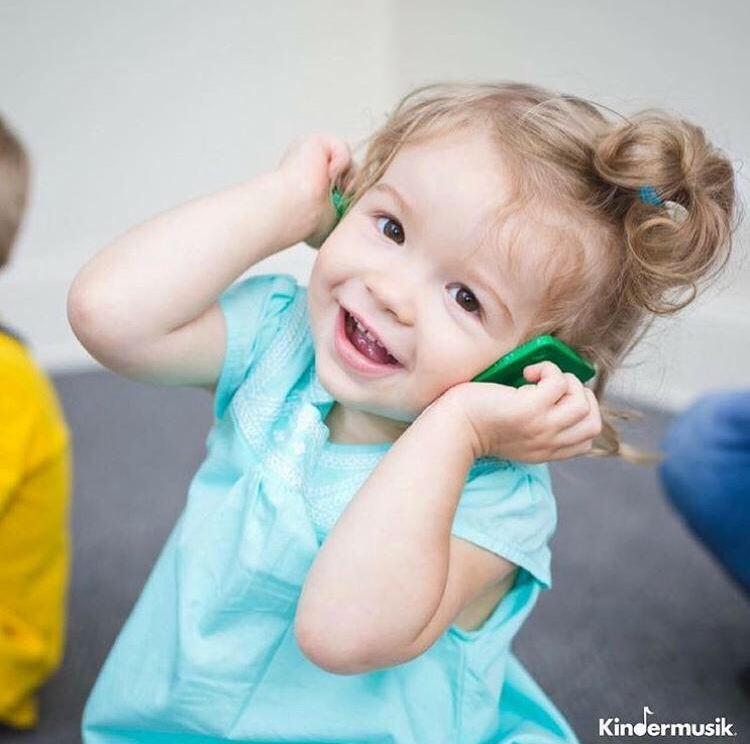 Kindermusik Online! Digital resources to continue the fun at home every day ! 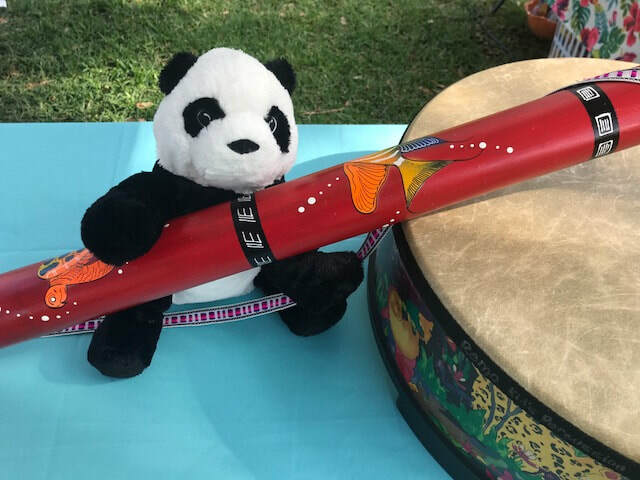 Class music (streaming and CD) for EACH unit (4-5 lessons), special stories, art and crafts ideas, parenting tips and a plethora of musical videos and other activities! 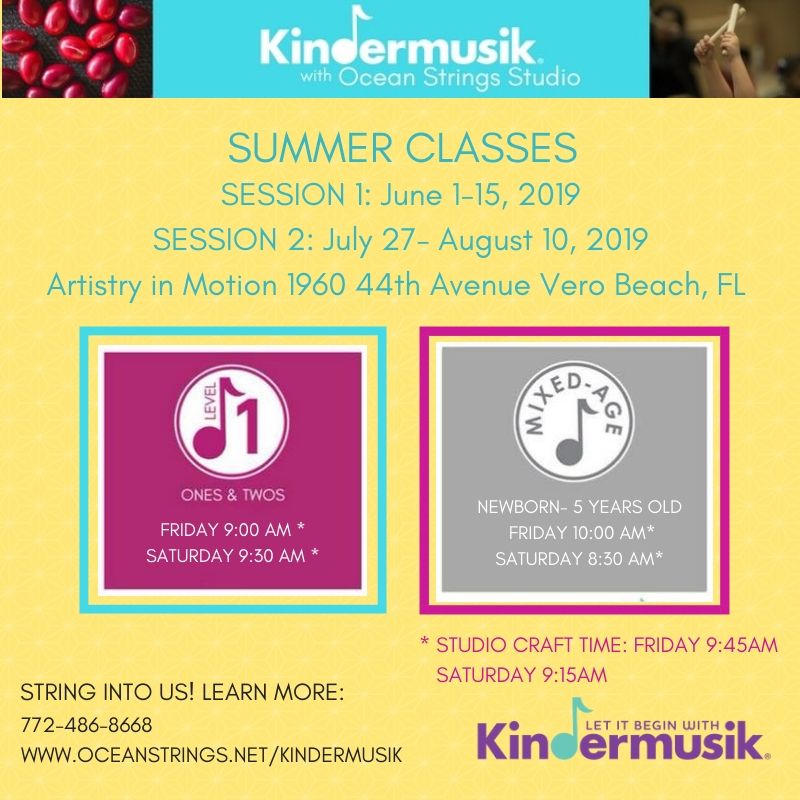 MEMBERSHIP ALSO INCLUDES: SPECIAL FAMILY EVENTS & BONUS CLASSES & PLAYDATES - Kindermusik Instrument(s) and MORE MUSIC !!! Experience this unique and special program for yourself! ​​Early Bird Enrollment Begins: May 1st, 2019!! Let it Begin w/ Kindermusik... Your Enrollment Begins Here! * AFTER ENROLLMENT receive A "Welcome to Kindermusik" gift bag which includes an assortment of goodies- including your own Kindermusik instrument! 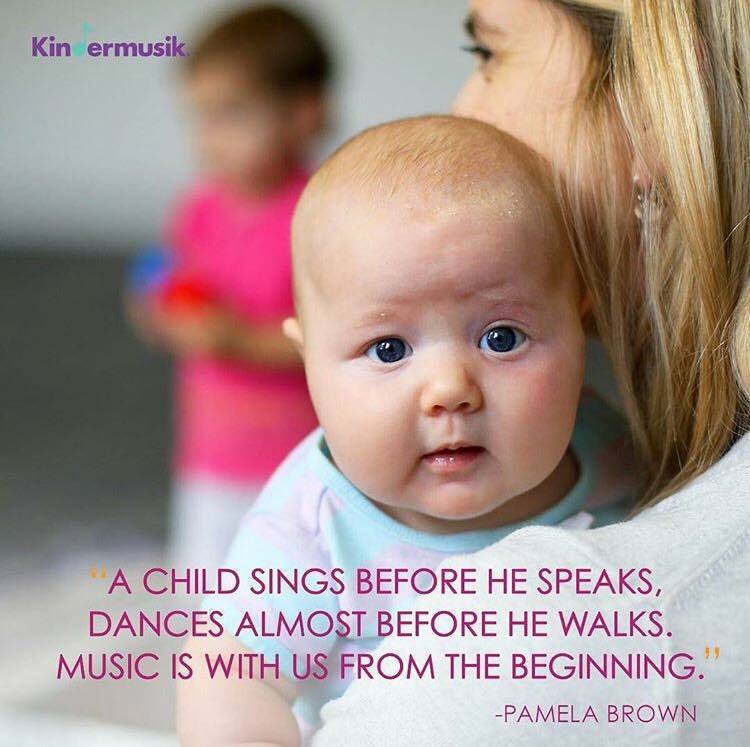 We look forward to beginning your Kindermusik journey! RSVP * TRY A CLASS! Subscribe to Our Studio Mailing List! 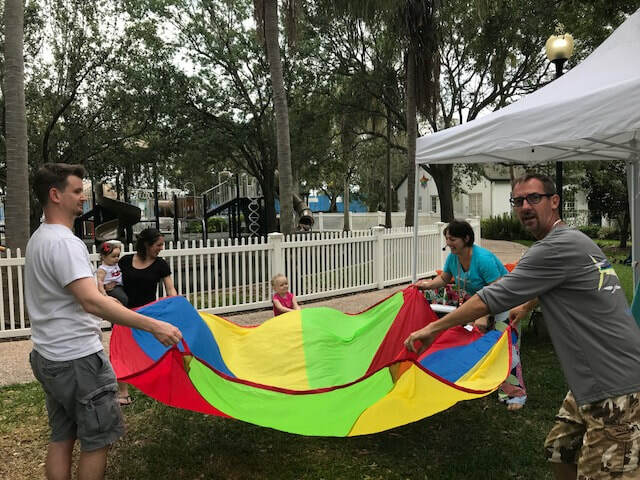 MIXED LEVEL 2: SILLY ALL OVER helps children experience stop and go motion, up and down, use fine motor skills, incorporate vocal play and tickle our sense of humor all at the same time! LEVEL 1 ( Newborn- 24 mths) I CAN DO THAT! 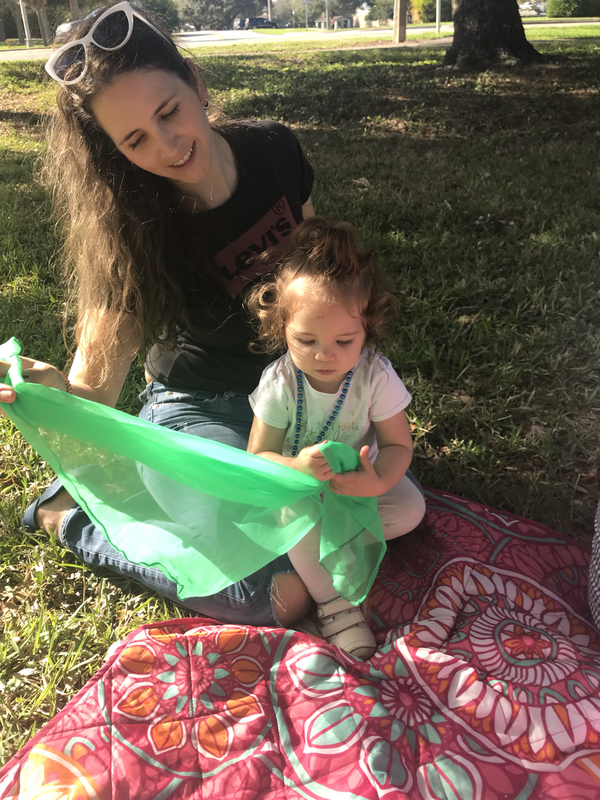 shows how to help boost toddler's skills and confidence through language enhancing steady beat activities! WHEN: SATURDAY & SUNDAY APRIL 13TH & 14TH, 2019 10AM - 4PM!! Thank you to EVERYONE that came out to visit us last year! 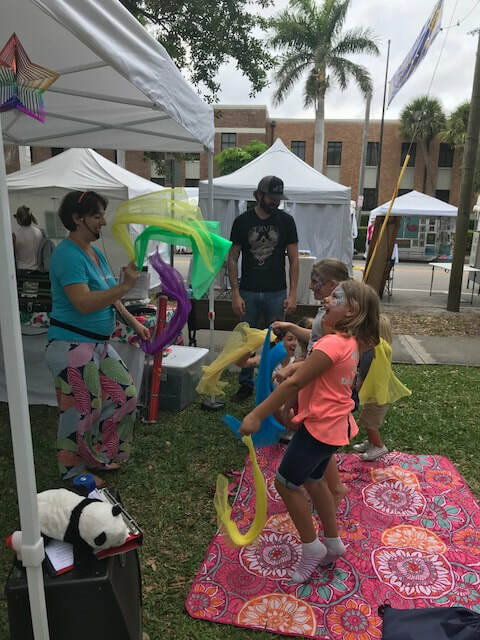 We look forward to having fun with you at this year's festival! COME JOIN OUR LIVE DEMONSTRATIONS & MAKE Your own Maraca! Instrument at our Booth with us! Please RSVP on the link above for more information! 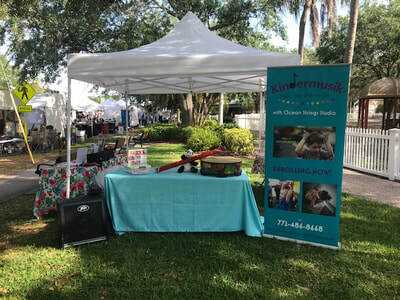 ​We enjoyed meeting everyone that came out to visit our Booth! What a beautiful breezy day to enjoy making Maracas and our Demo Activiities!! with Marcia Littlejohn & Barbara Hoffman on WBBT "Talk of the Town" ! ​AUGUST 2017 ISSUE OF "32963"
Want to give a SPECIAL gift for your grandchildren, nieces, nephews or a cherished friend with children? ​G/C's are available in amounts of $25, $50, $75, $100, $150 or $200 OR contact us to give a custom amount of your choosing! 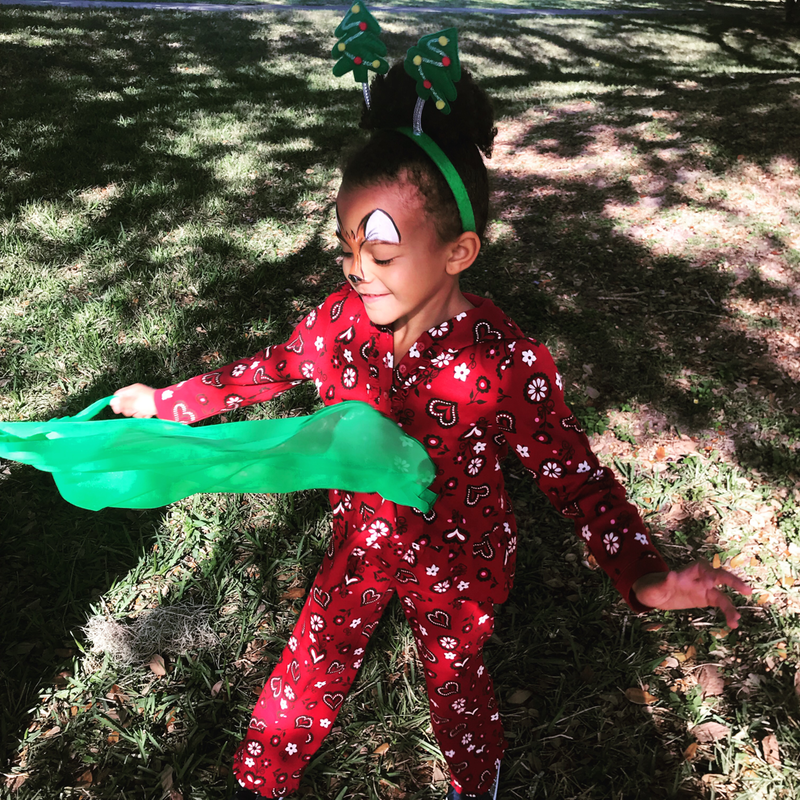 They may be applied towards an Instrument purchase, a Playdate, a Regular Enrollment or a combination! ​We will be happy to PERSONALIZE your CUSTOM certificate and email or mail it to you! Thank you!! We welcome them! 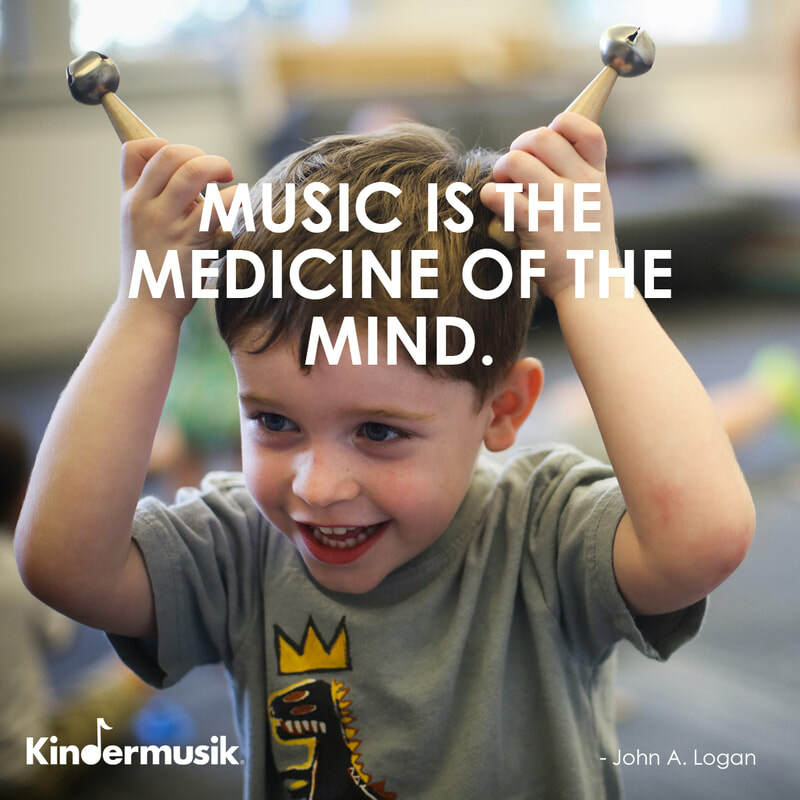 Please contact us so that we may share why the Kindermusik experience WILL be the best fit for you and your child! Connect with us on Facebook and/or Instagram! You'll receive amazing insights on music and child development, parenting tips and a wealth of other supportive material! Our baby music classes for ages Newborn - 12 months will offer sensory-rich instrument activities in a gentle environment which engage and strengthen the foundations of their neural pathways, development and enhance a growing parent-child bond. 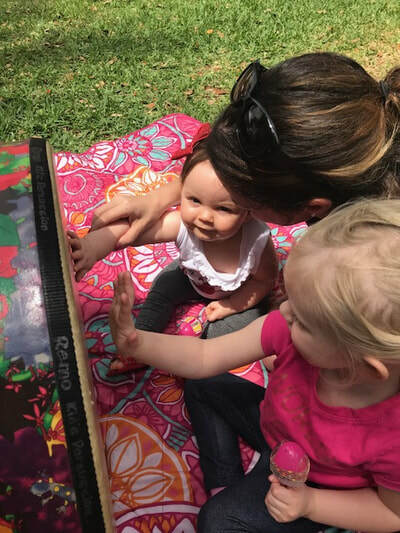 ​Benefits also include social play with other babies, cuddling and rocking time with parents and fingerplays/ movement activities that develop gross and fine motor skills which start them in their exploration to become new walkers! Our toddler (& Siblings welcome!!) 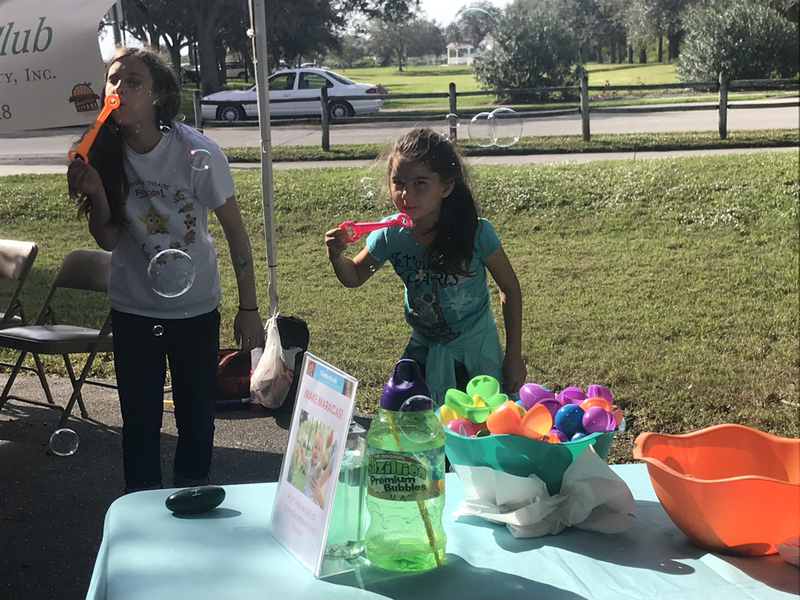 classes will encourage your child to be creative, to initiate her own ideas, and to respond in her own ways, while your presence and participation offer needed reassurance and support! 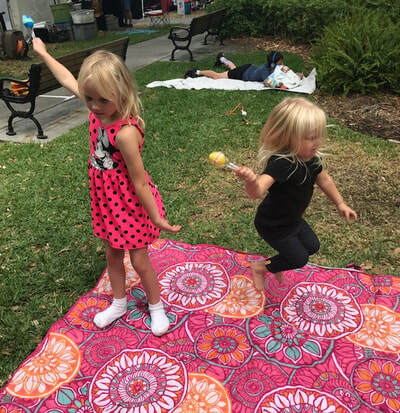 Exploration activities include playing of instruments, singing and moving to music and the acting of simple stories and rhymes. ​These activities have been proven to build self-confidence, self-control, and communication skills! 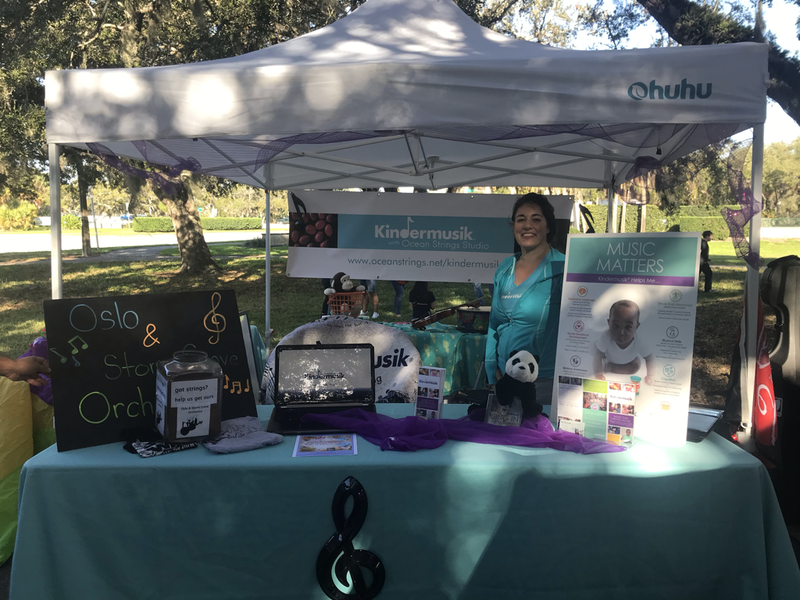 Your Kindermusik teacher will help you understand each activity with your little one and will share tips and digital materials for weaving music into your daily routines at home! ​Our Mixed Level classes are perfect for families that have multiple children and mixed age levels! They promote family bonding and accomodate all levels of learning and musical ability. We use all the methods from our specific age level classes in a combined classroom of music & movement activities. ​Instruments and ideas are utilized that will satisfy and challenge each age level that encourages joyful and imaginative participation!